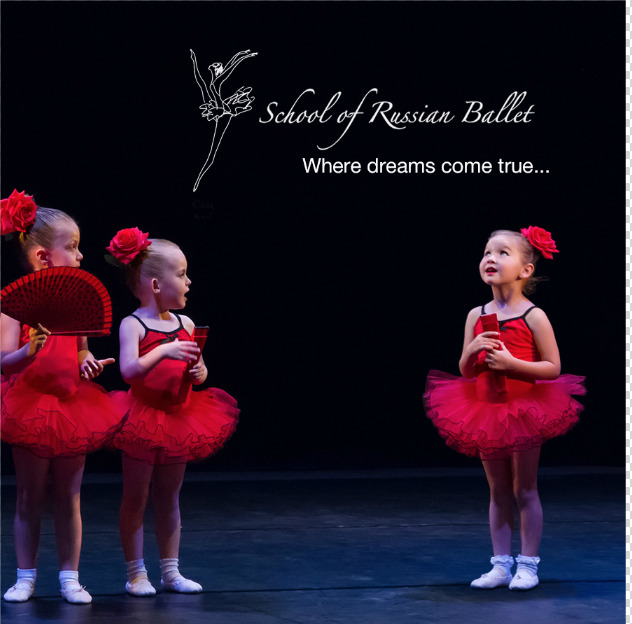 School of Russian Ballet invites students ages 3+ to try out a class for free. For placement information, email or message Regina Zarhina in her details below. Ballet, pointe, variations, contemporary, character, stretching, and fitness. The Lessons: Professional levels I, II, III as well as as pre-ballet and teen ballet, which are for those who wish to dance but do not necessarily dream of a performing career. They also offer stretch and adult ballet classes that incorporate yoga exercises. The school adjusts its programmes to students' unique levels of fitness enabling them to tone their bodies, gain strength and fitness while learning healthy habits. Private lessons and competition coaching are also available, as well as extra rehearsals for school performances. Youth America Grand Prix (YAGP): The School of Russian Ballet has been working with YAGP since its inception. This is the world’s largest student ballet scholarship competition that awards over $250,000 annually in scholarships to leading dance schools worldwide. The competition is held annually around the world, and is open to dance students of all nationalities 9-19 years old. The Studio: Located at the well known Casa Rusia in Marbella, this facility has one large studio with 105 square meters with professionally sprung floors which are ever so important for any ballet dancer. There is also a smaller studio suitable for flamenco or ballroom dancing. It has a large dressing and shower room on site with a great sound system. The School also provides the uniforms required for ballet classes. The studios are also available for rent. The Faculty: Run by Regina Zarhina from Russia who moved to Los Angeles at 17 years of age and travelled extensively around the United States and Europe pursuing dance opportunities. Regina has a wide portfolio of experience in both the physical and theoretical study of dance. She ran her own school in Colorado, taught at the Elmhurst School for Dance in association with Birmingham Royal Ballet in the UK and was a senior lecturer at the prestigious ballet department at the University of Utah. Regina has been invited to teach at schools all around the world but Marbella has the unique pleasure to have her right here. 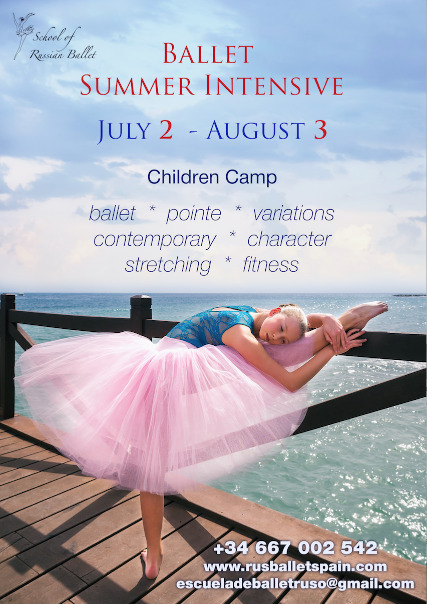 Dance lessons for children ages 3 to 5, ballet technique, pointe and variations, contemporary dance, character dance, stretching, fitness, and ballet for adults. Performance opportunities, competitions coaching, private lessons, participation in the junior ballet company. The School of Russian Ballet is happy to evaluate your student and always offers the FIRST CLASS for FREE. 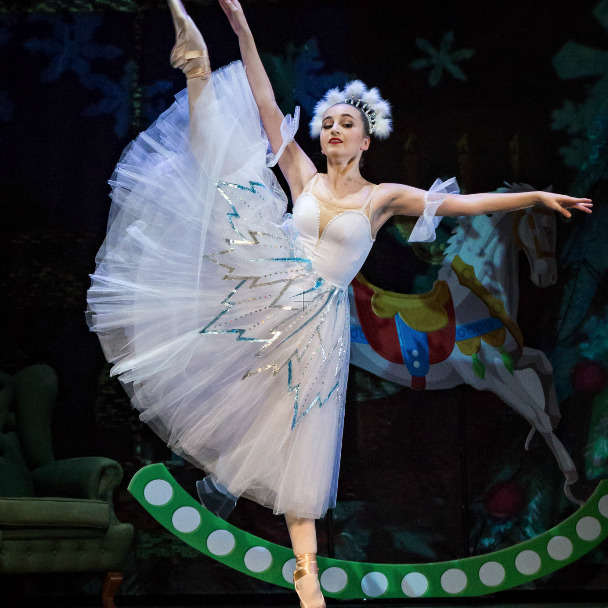 Performances: Two major shows per year: full length Nutcracker in December and El Ballet gala performance with guests invited from the best ballet theatres in the world in June. ALL students participate in these shows. Languages: English, Russian, Spanish, and a bit of French.